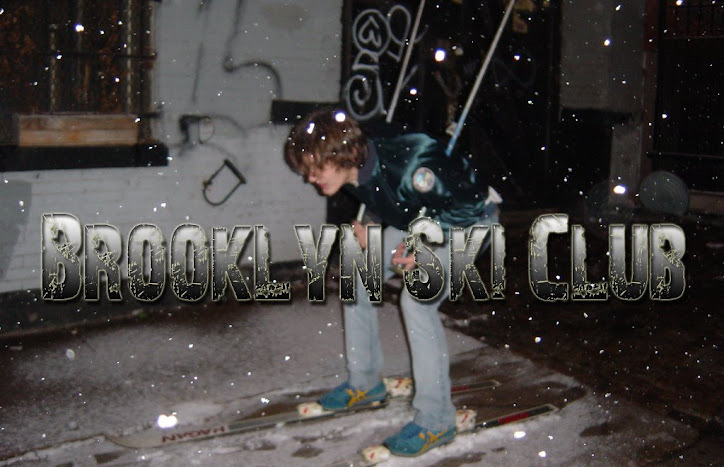 Brooklyn Ski Club: BSC Guest Hosts Rock N' Roll Hight Tomorrow. Tomorrow is the launch of a new Wednesday night weekly called Rock N Roll High at The Skinny. I pretty much know everyone involved in this thing so it made sense for me to be the guest host of the night. Michael T and Ilan will be spinning rock n' roll, classic punk, and soul all night. Mr Photog will be making you look prettier then you really are. Eddy and friends will be go-go dancing. And I have the easiest job of them all - guest host. out anyway so stop by, dance a little, drink a lot, and stumble home.